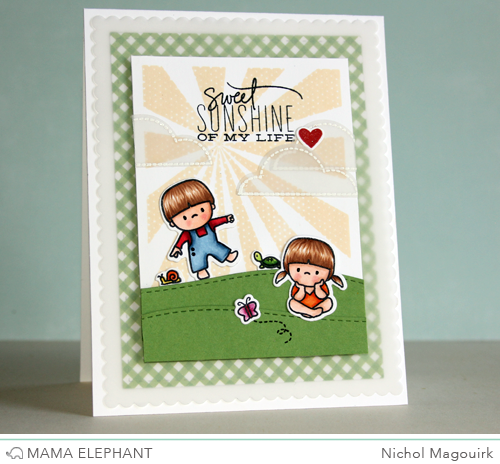 Today we end the Stamp Highlights with My Sunshine. This set is filled with sunshine and it is just in time for the summer! 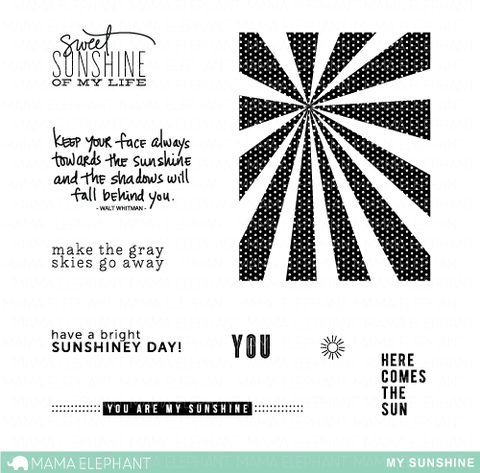 The sun rays will surely pack some oomph into your projects with a touch of cuteness with the polka dots. 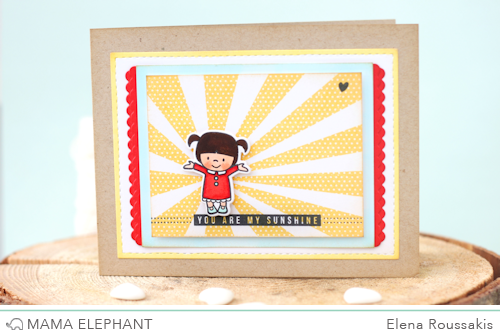 Elena brought the sunshine with this fun card! We love the little girl from in my heart resting on the sentiment and backed by the bright yellow sun rays! 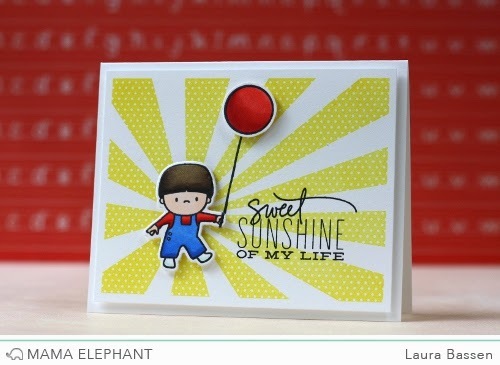 Joni paired up a little girl from In My Heart and a sweet sentiment from My Sunshine to make this adorable card. Emily used the Landscape Trio Creative Cuts as an external anchor for her scene within a scene. 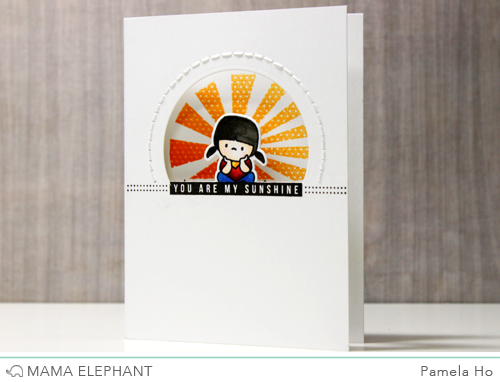 With some simple partial cutting, Pamela made the sunburst background peak out from the inside. How fun is that ombre stamping! 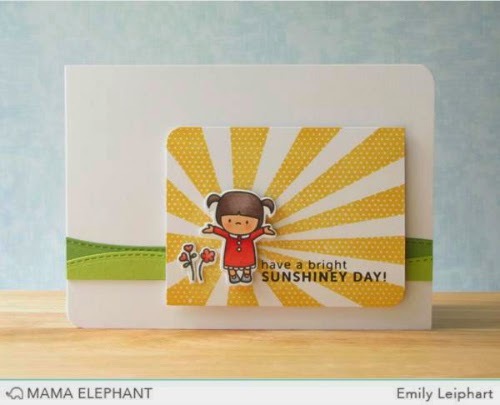 Sandy created a bright sunshiny card with ample of yellow! Nichol used the sunshine image from My Sunshine to create a subtle sunshine-y background for the image stamps from the In My Heart Stamp Set. The crisp black stamped greeting from My Sunshine pops off the background. I just got both of these sets in the mail. These cards make me want to go play with them myself! I've been wanting a sun ray stamp. Looks like I've found what I want. the kids playing around in the sun makes for cute cards. thanks for sharing some great ideas. Love the stamps of the new release! All are so sweet and ADORABLE!!! Love! Wonderful set, and adorable cards, designers! I LOVE this My Sunshine set!! Fabulous work DT! !